Don’t tell the kids this, but it’s almost back to school time and Apple is reportedly gearing up for a major push this August. Apperently several large hardware refreshes are on tap with both the Mac Pro and Mac mini set to get new innards. It’s about time, too. The iMac got in on the Intel Sandy Bridge party just last month with the top of the line model now packing more computing might than a much more expensive Xeon-packing Mac Pro. Intel’s latest chips are just that good. But this refresh isn’t just about the processor. Oh no, it’s a whole lot more than that. The Mac Pro is looking a tad sad now. The current generation debuted on August 9, 2010 and are still shipping with the same hardware. Computer years are lot like like dog years — 1 year = 7 years — so this upcoming refresh is more than welcomed. Expect Sandy Bridge chips, but word hasn’t leaked concerning which line. The Mac Pro has generally been a server-sort of systems, packing Intel Xeon chips at the core. Apple could use the Xeon-E3 chips here — or the upcoming Core i7 six core consumer line CPU that lacks integrated graphics, but packs more process threads and L3 cache. Dedicated Thunderbolt ports are also likely to debut along side the Sandy Bridge architecture. 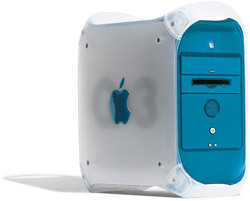 The Mac Pro might also get a slightly different case thanks to the Xserve’s discontinuation. It’s long been rumored, and pitched by Apple, that the Mac Pro can fill the need for a dedicated Apple server and the next generation would come with a rack mountable case. The Mac Mini is also set for some new digs. Sandy Bridge processors and Thunderbolt connectivity are also both likely here. Where the Mac Pro will likely get several Thunderbolt ports, the Mac mini will probably go the MacBook Pro route and force DisplayPort and Intel’s latest high-speed interface to share a room. Along with the new CPU platform, the Mac Mini will probably get bumps in standard hard drive size and the amount of RAM. The 320GB, 2GB that are currently standard do not fit the $699 price tag now that we’re halfway through 2011. Apple is likely waiting for OS 10.7 to launch the updated systems. Lion is set to debut in late July, which coincides with CNET’s Brian Tong’s tweets that these systems are set for a late July or early August launch. That time frame fits with Apple’s launch history and the back to school calendar. I just hope you don’t need to buy a new Mac until then since these upcoming models should be a rather hefty step forward from the current systems.